When the weekend calls and there are beaches to get to, opt for the Vans OTW Lounge Tank. 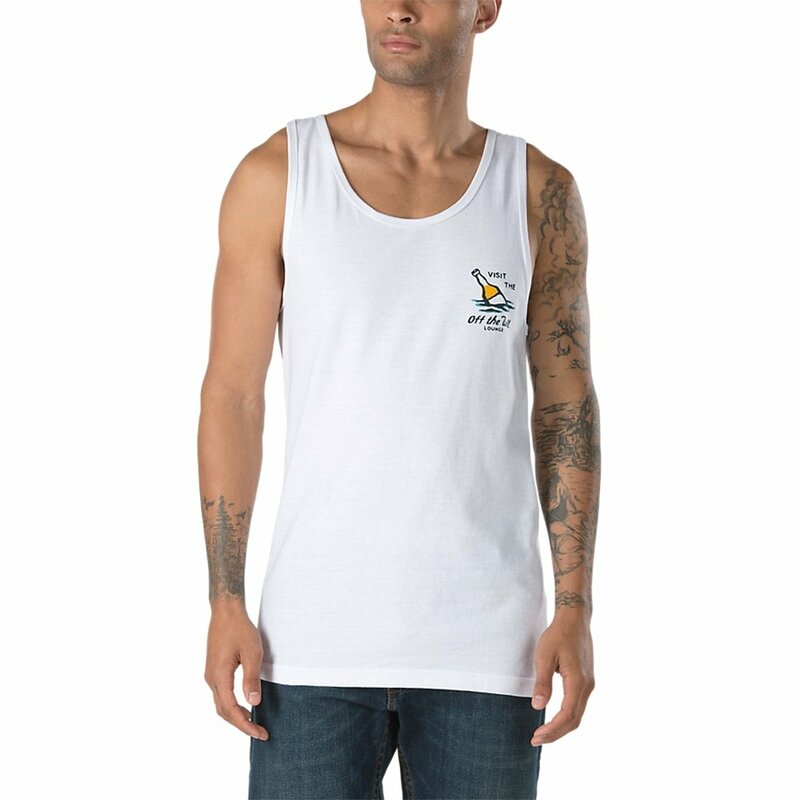 This simple tank is made of 100% cotton, so it's extremely comfortable for whatever the day brings. It offers a casual fit that's not too tight and a simple scoop neckline, ideal for wearing under shirts or on its own in warm weather. A jumping swordfish, floating bottle, and other men's nautical-inspired images are outlined on the back. A small logo on the front left of the OTW Lounge Tank adds a bit of matching style to the front. The 100% cotton material is durable and super soft. A manly seascape outline on the back looks at home at the beach. Wear it alone, or as a layer under a button-up shirt.